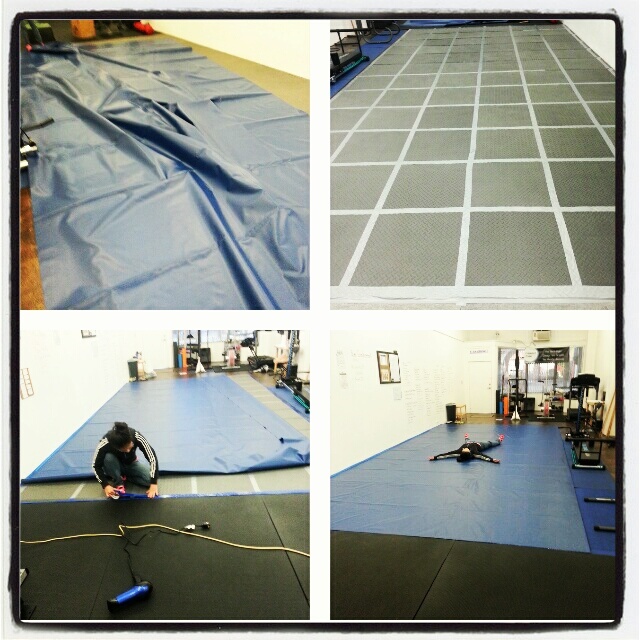 All Out Effort Blog: New Mats Installed! Wrestling mats finally installed! Now we can stretch, roll, spar, grapple, yoga, tumble, gymnastics, body weight exercise, pilates, and sleep!